Chrissy Kidd is a writer who specializes in making sense of theories and developments in technology, science, and education. 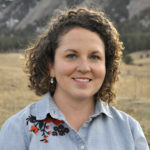 Based in Denver, you can connect with her at http://www.chrissykidd.com. If AI is a broad umbrella that includes the likes of sci-fi movies, the development of robots, and all sorts of technology that fuels legacy companies and startups, then machine learning is one of the metal tongs (perhaps the strongest) that holds the AI umbrella up and open. So, what is machine learning offering us today? And what could it offer us soon? Let’s explore the potential for ML technologies. Machine learning is the process of machines sorting through large amounts of data, looking for patterns that can’t be seen by the human eye. A theory for decades, the application of machine learning requires two major components: machines that can handle the amount of processing necessary, plus a lot (a lot!) of gathered, cleaned data. Thanks to cloud computing, we finally have both. With cloud computing, we can speed through data processing. With cloud storage, we can collect huge amounts of data to actually sort through. Before all this, machines had to be explicitly programmed to accomplish a specific task. Now, however, computers can learn to find patterns, and perhaps act on them, without such programming. The more data, the more precise machine learning can be. Today, companies have developed proprietary algorithms that machine learnings train, or look for patterns, on, using your data combined with the data of millions of other customers. This is why your Netflix may be chock full of action flicks and superhero movies and your partner’s queue leans heavily on crime drama and period pieces. But machine learning is doing more than just serving up entertainment. Credit companies and banks are getting more sophisticated with credit scores. Traditionally, credit companies relied on a long-established pattern of credit history, debt and loan amounts, and timely payments. This meant if you weren’t able to pay off a loan from over a decade ago, even if you’re all paid up now, your credit score likely still reflects that story. This made it very difficult to change your credit score over time – in fact, time often felt like the only way to improve your credit score. Now, however, machine learning is changing how credit bureaus like Equifax determine your score. Instead of looking at your past payments, data from the very near past – like, the last few months – can actually better predict what you may do in the future. Data analysis from machine learning means that history doesn’t decide; data can predict your credit-worthiness based on current trends. Machine learning is just getting started. When we think of the future for machine learning, an example we also hear about are those elusive self-driving cars, also known as autonomous vehicles. In this case, machine learning is able to understand how to respond to particular traffic situations based on reviewing millions of examples: videos of car crashes compared to accident-free traffic, how human-driven cars respond to traffic signs or signals, and watching how, where, and when pedestrians cross streets. Machine learning is beginning to affect how we see images and videos – computers are using neural networks to cull thousands of images from the internet to fill in blanks in your own pictures. Take, for instance, the photo you snapped on your holiday in London. You have a perfect shot of Big Ben, except for a pesky pedestrian sneaking by along a wall. You are able to remove the person from your image, but you may wonder how to fill the space on the wall that walker left behind. Adobe Photoshop and other image editors rely on an almost-standard API to cull other images of walls (that specific wall, perhaps, as well as other walls that look similar) and randomize it so that it looks natural and organic. This type of machine learning is advancing rapidly and it could soon be as easy as an app on our phones. Imagine how this can affect the veracity of a video – is the person actually doing what the video shows? We are at a pivotal point where we can see a lot of potential for machine learning, but we can also see a lot of potential problems. Solutions are harder to grasp as the technology forges forward. The future of machine learning is inevitable; the question is more when? Predictions indicate that nearly every kind of AI will include machine learning, no matter the size or use. Plus, as cloud computing grows and the world amasses infinite data, machines will be able to learn continuously, on limitless data, instead of on specific data sets. Once connected to the internet, there is a constant stream of emerging information and content. This future comes with challenges. First, hardware vendors will necessarily have to make their computers and servers stronger and speedier to cope with these increased demands. As for experts in AI, it seems there will be a steep and sudden shortage in the professional manpower who can cope with what AI will be able to day. Behind the private and pricey walls of Amazon, Google, Apple, Uber, and Facebook, most small- and medium-sized businesses (SMBs) actually aren’t stepping more than a toe or two into the world of machine learning. While this is due in part to a lack of money or resources, the lack of expert knowledge is actually the biggest reason that SMBs aren’t deeper into ML. But, as ML technologies normalize, they’ll cost less and become a lot more accessible. If your company doesn’t have experts who knows how you could be using ML to help your business, you’re missing out. On a global level, machine learning provides some cause for concern. There’s the idea that we’ll all be replaced in our jobs by specific machines or robots – which may or may not come to fruition. More immediately and troubling, however, is the idea that imaging can be faked. This trick is certainly impressive for an amateur photographer, but it begs an important question: how much longer can we truly believe everything that we see? Perhaps seeing is believing has a limited window as a standard truthbearer in our society. Let’s talk options for your team.